What can you get for $300 these days? A bunch of stuff, probably, including the latest soundbar from Yamaha. The YAS-101 Front Surround System offers up 7.1 sound, a built-on 60-watt subwoofer and support for Dolby Digital and DTS. The UniVolume feature, meanwhile, helps maintain a constant level through loud volume increases during commercials. IR codes can also be sent through the speaker bar, so you don’t have to worry about it blocking the set. Check out some press info after the break. 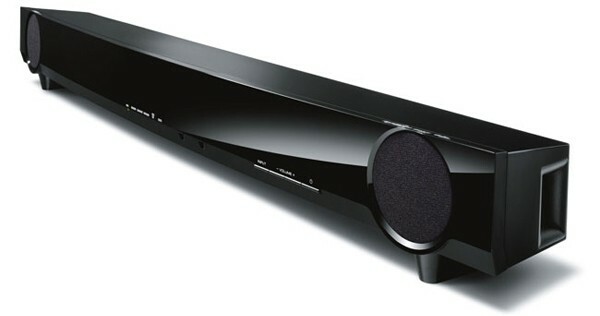 Yamaha YAS-101 walks into a soundbar, orders a stiff glass of 7.1 originally appeared on Engadget on Sun, 11 Sep 2011 18:41:00 EDT. Please see our terms for use of feeds. This entry was posted in 7.1, hdpostmini, soundbar, speaker, speakers, surround sound, SurroundSound, yamaha, YAS-101 on September 11, 2011 by Ravi Shanghavi.